Roasted corn on the cob is a street-side affair in many parts of the world, including the Caribbean. Roasting corn ears bring out the sweetness that marries well with the smoky flavor of the fire. Some grated cheese and a sprinkle of salt and pepper with a squirt of lemon juice make it a real treat. Here's how to create that smoky roasted corn flavor right in your kitchen, on a gas stove top. If you don't have a gas stove, you can do this on a gas or charcoal grill outside. Place an ear of corn right on a burner. Feel free to use more burners to roast both ears of corn at the same time. Light your gas stove and turn heat to medium-high. Roast the corn over the gas flame, turning every minute or so until the kernels are charred in various places all around the corn. 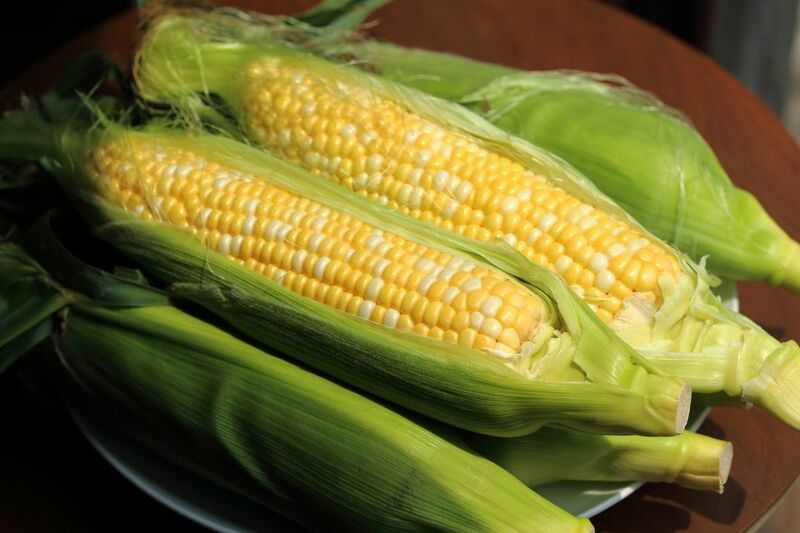 Serve the corn warm as it is or with a dab of butter, a sprinkle of grated cheese, salt, and pepper or a squirt of lemon juice.